Ana is the creatrix of Forrest Yoga, an internationally renowned yoga teacher and medicine woman, and the author of Fierce Medicine. She’s also headlining Wanderlust NZ 2015. Ana has an impressive background of study and clinical application of healing modalities, including homeopathic and naturopathic remedies, anatomy, reflexology, pressure point therapy, craniosacral therapies, Shiatsu, chiropractic, polarity and hands on healing. This broad spectrum of the healing arts always informs her work. In her life-long pursuit of becoming a better teacher and healer, Ana has also undertaken intimate studies in Sweat Lodge, Pipe Ceremony, Vision Quest and Sundance with various Native American and African healers. Her yoga is the yoga of courage – it’s fierce and calls upon us to be with our fears, to follow them down into our bodies and see what lies beneath. 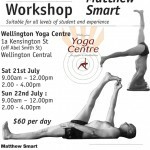 Join Ana and Jose for three special workshops at Om Yoga Studio in Stonefields, Auckland. Cost is NZ$85 for one workshop or NZ$210 for all three. Celebrate Your Practice, 9 February 2017, 6:00pm – 8:30pm. Rekindle the fires of passion and pleasure with Forrest Yoga. Learn to reconnect to your energy, while you delight in your strength. Bring healing and inspiration into your personal practice. This Forrest Yoga workshop helps you cultivate and embrace a sense of compassion. You also learn to make your practice exhilarating and delicious. Find out more here. Challenge and move your core energy into those areas where it has yet to be. Come sweat, breathe deeply and enter the incredible mystery of your core. You will feel cleansed, refreshed and alive. Find out more here. Learn how to relax your core and safely change fear into excitement by riding the power of breath. In this session you will learn a different way to relate to your ‘edges’ besides struggling and panicking. By listening to the intelligence of your body you can create a deep, rewarding struggle-free practice. Find out more here. Unfortunately, while the audio is excellent on the conversation, the video froze up twice – at the beginning of the interview until about 6:50 and between approximately 1o minutes and 20 minutes. Ana is so expressive and amazing to watch though that I chose to publish the interview as video rather than audio so you could enjoy the segments between 7 and 10 minutes and after 20 minutes. Ana T. Forrest is an inspiration. She has been changing people’s lives for 40 years. 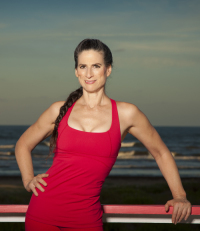 Ana is an internationally-recognized pioneer in yoga and emotional healing. 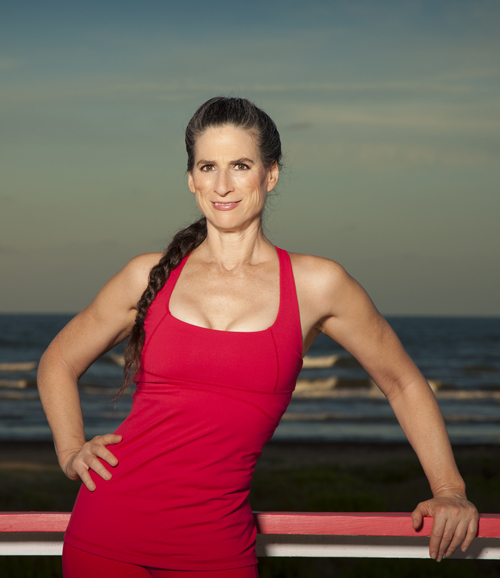 She is a Medicine Woman, the creatrix of Forrest Yoga and author of the highly-acclaimed book, Fierce Medicine. Ana created Forrest Yoga as she worked through her own life traumas — including abuse and addictions to find healing. 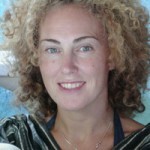 She teaches from an intuitive and highly-developed understanding of the human body and psyche. Native American Medicine and the clinical application of healing modalities—including homeopathic and naturopathic remedies, reflexology, pressure point & craniosacral therapies, Shiatsu, chiropractic, and hands-on healing—always inform her work. Ana’s Spirit pledge is to do her part in ‘Healing the Hoop of the People’—it’s her life’s work. Each year she gives thousands of people the tools to help them design a life that makes them proud. Thousands of yoga teachers have been trained by Ana. She headlines at yoga events across the globe, contributes regularly to many yoga, health and Spirituality publications, and is a guest lecturer at educational institutions. Fierce Medicine is published in English, German, Russian, Turkish and as an audio book, read by Ana. When she isn’t teaching, Ana loves to ride her motorcycle into the wilderness! Find out more on her website here.